My ministry efforts through FCA are possible because of donors’ faithful prayers and financial support. 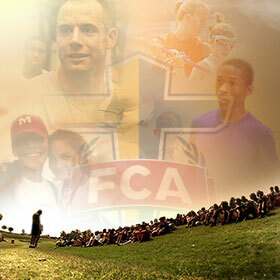 We ask that you prayerfully consider helping to advance the FCA vision. Your appreciated giving enables us to engage, equip and empower more coaches and athletes to know and grow in Christ and lead others to do the same. Please feel free to contact me to learn more about our ministry areas and initiatives in which you may have specific interest and questions.